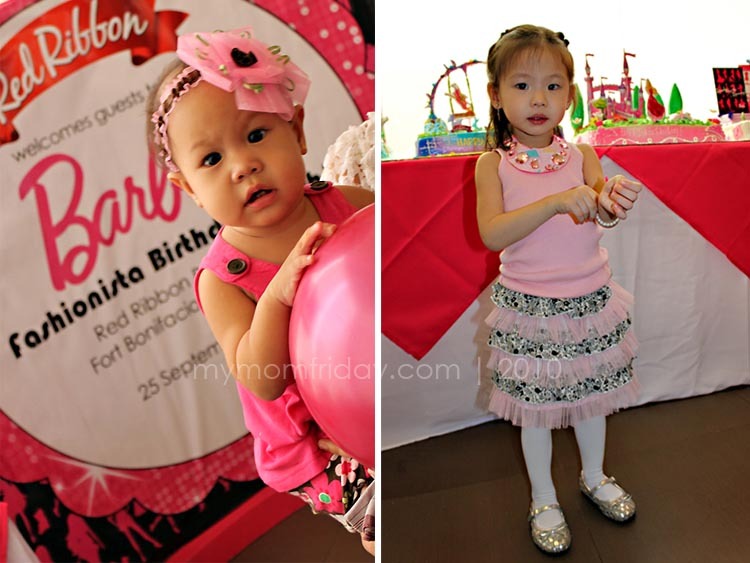 a Barbie Fashionista Birthday Bash! 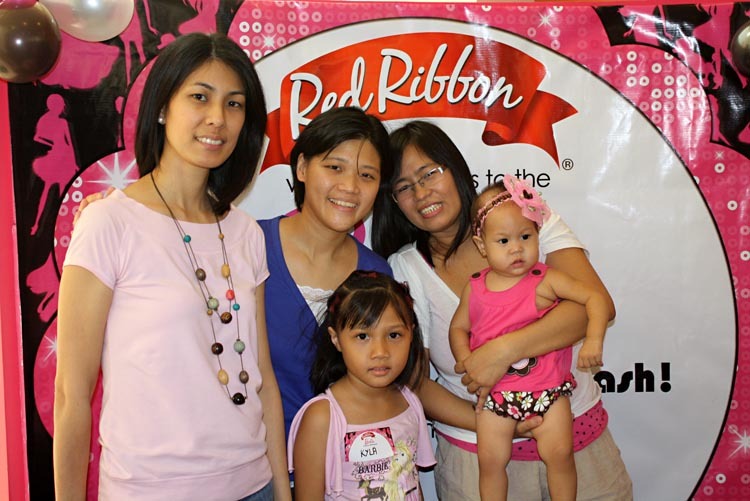 This was my invite to a mother-daughter event and having Red Ribbon + Barbie together was my guarantee to one fabulous party — something we wouldn’t want to miss. 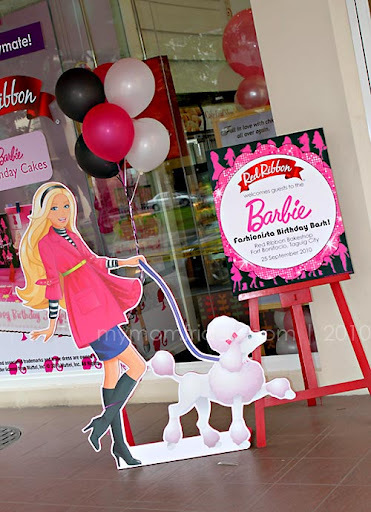 I love the cakes at Red Ribbon Bakeshop (especially their classic Ube Cake which I even raved about here), and Barbie was the only doll I coveted while growing up. So I was really looking forward to this bonding activity with my girl. 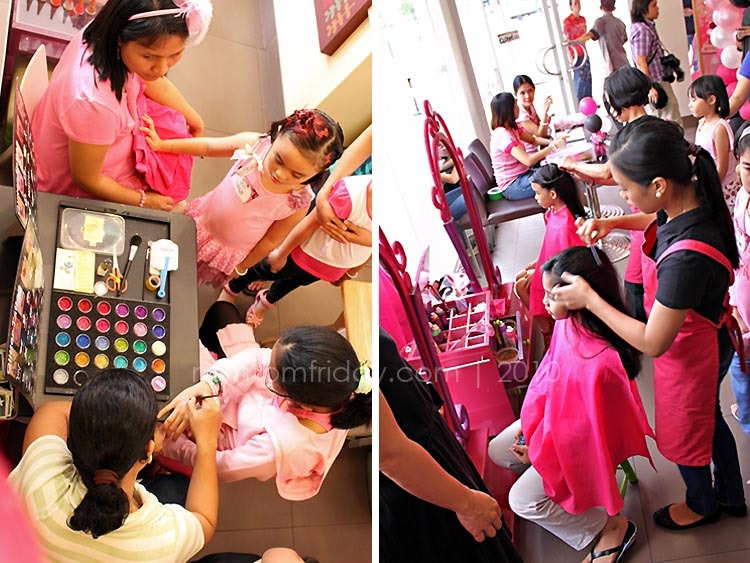 She too was so psyched to attend her “pink Barbie party”. Sadly, my little miss was down with a fever and fighting the sniffles the rest of the weekend. :((( My girl missed the whole thing. Despite the change of plans, I was able to squeeze in some time to drop by at Red Ribbon Bakeshop, Fort Bonifacio. I really wanted to get a preview of the latest Barbie Birthday Cakes, and most importantly, to bring home a surprise pasalubong (souvenir/homecoming gift) to make the girl feel better. 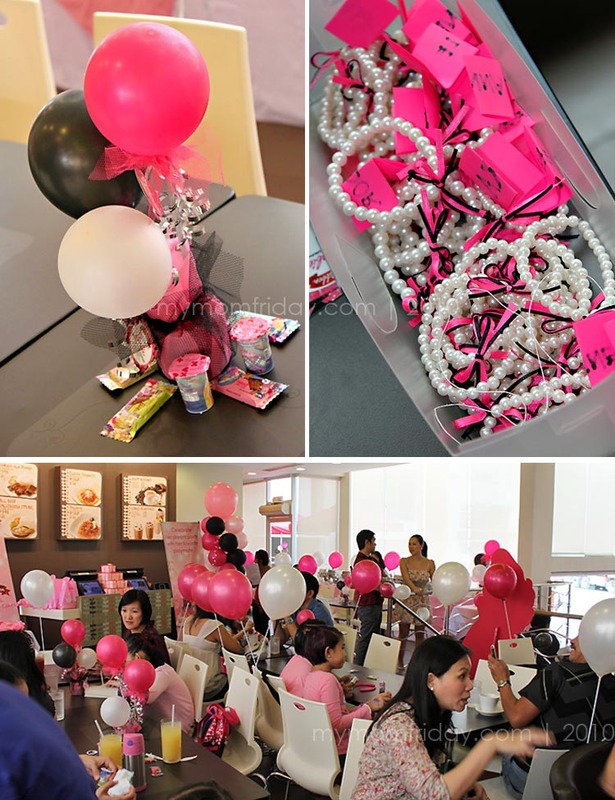 Barbie and her pooch ‘greeted’ me as I arrive, and a chic and sassy vibe filled the bakeshop with bright pink, black and white balloons. Little misses received a dainty welcome gift of pearly bead bracelets. 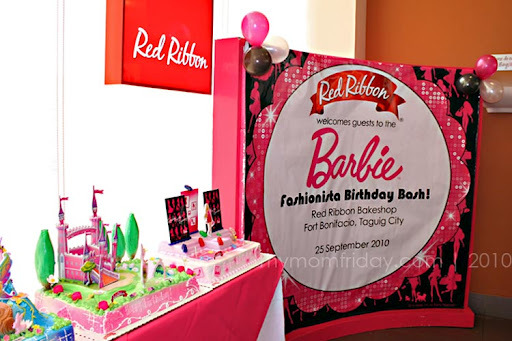 And the stars of this fab fete: Red Ribbon Barbie Birthday Cakes — four amazingly designed three-dimensional cakes that go with popular girly-girl themes. 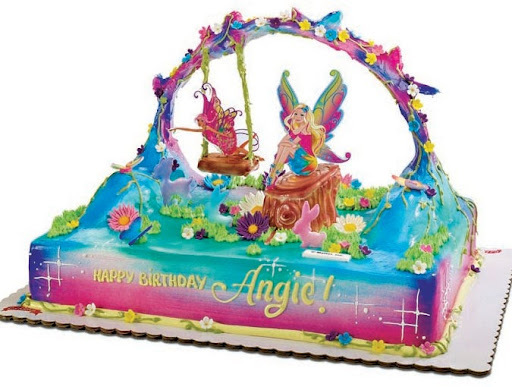 Barbie Fairy Garden Cake – displays Barbie sitting under a beautiful rainbow with a fairy friend perched on a real swing; colorful sugar flowers adorn the cake. 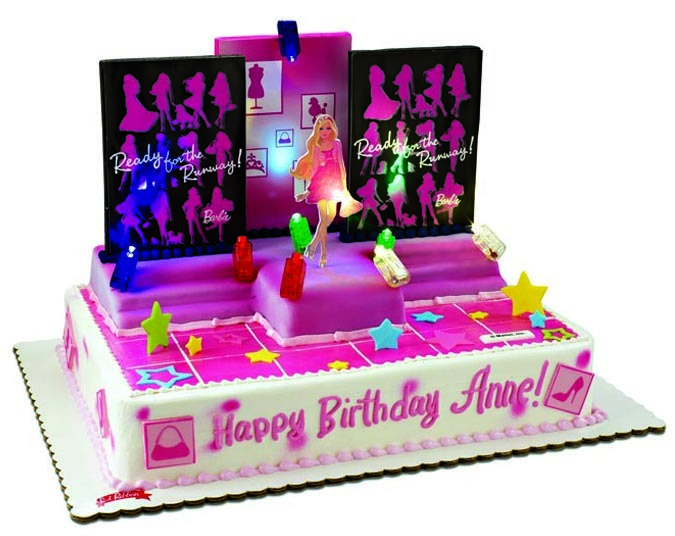 Fashion Week Barbie Cake – shows Barbie strutting down her own runway; colorful sugar stars surround her as real blinking lights make this cake a sight to behold. 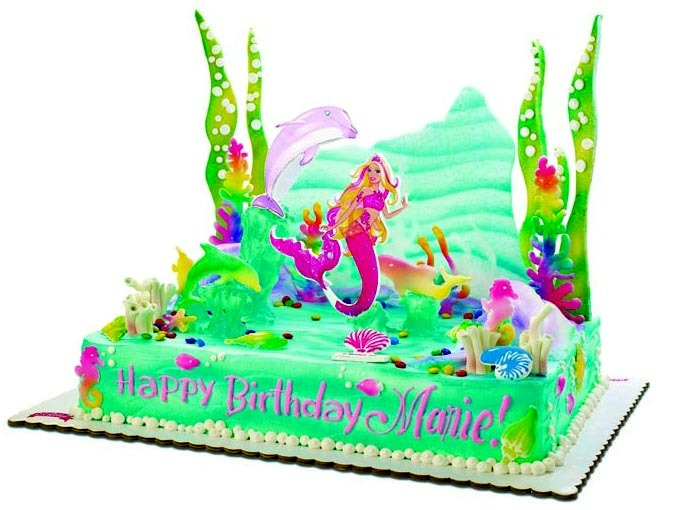 Barbie Mermaid Lagoon Cake – here is Barbie as Merliah, with her dolphin friend Zuma, swimming in Oceana; under-the-sea wonders on this cake make it absolutely mesmerizing. These pretty-licious 3-D confections come in 12″x16″ rectangle cakes covered in boiled icing (think marshmallow icing!) and can be enjoyed in two flavors: Chocolate and Mocha. Each one is reasonably priced @ PhP 2,500.00 (US$55). 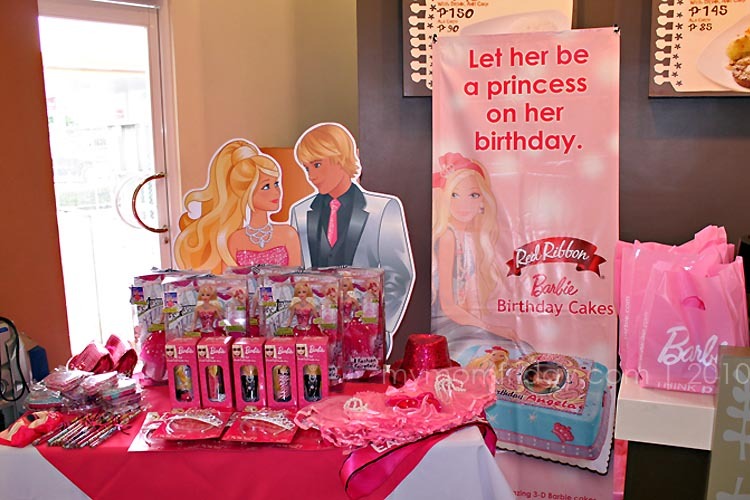 Red Ribbon also presented four different Barbie Modern Princess Picture Cakes — personalized picture cakes with the photo of the celebrant printed beside her favorite Barbie character. 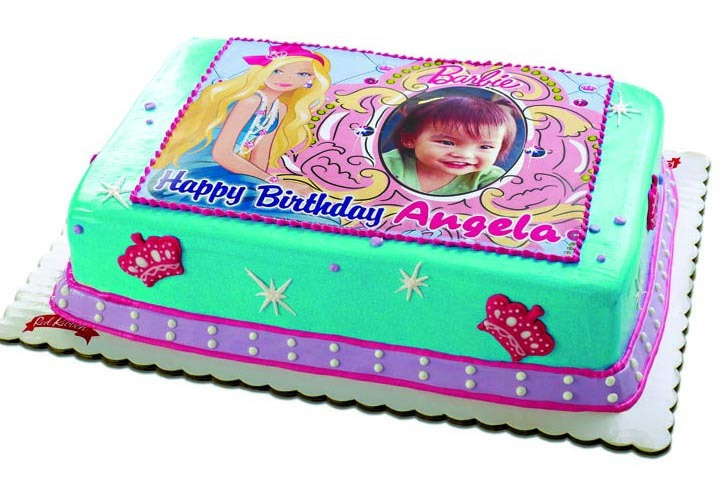 The 8″x12″ cakes are intricately decorated with sugar crowns and tiaras set against jewel-toned icing, for PhP1,150.00. …and don’t forget the excited moms who joined in the fun too! A bonus for me was finally meeting blogger friends, mommy Chris and mommy Rowena (not in photo). My stay at the party was brief yet sweet. I still got to bring home my surprise for the little princess waiting for me at home (thanks Ms. Abbey!). 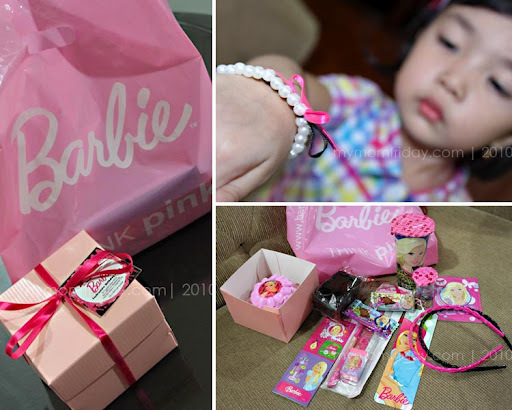 I was able to bring her a loot bag full of Barbie goodies and trinkets that she so loved! 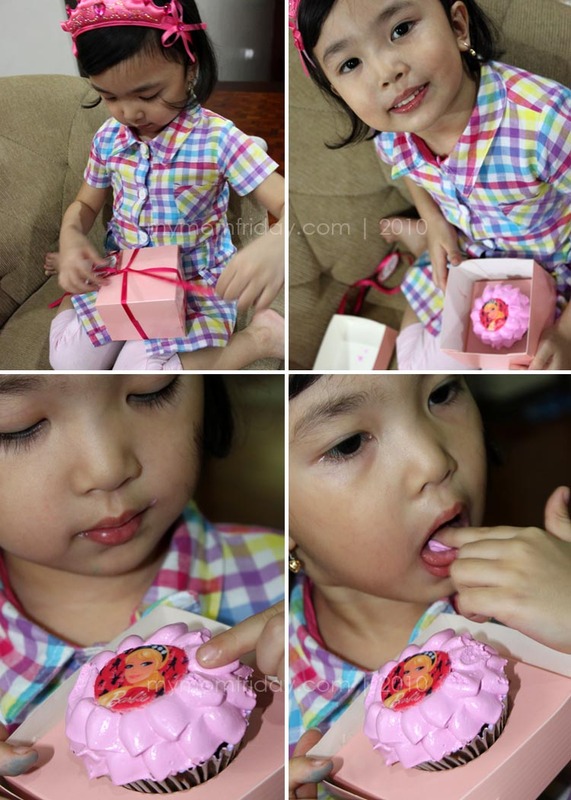 And best of all, she got her own pink Barbie Ruffled Cupcake to savor and enjoy. It definitely put a smile on her face and made her feel much better! For all the girls out there, big or small, who fancy these Barbie Birthday Cakes, make it the centerpiece for your next birthday celebration. You can order your favorite at any Red Ribbon Bakeshop nationwide, at least 3 days in advance. 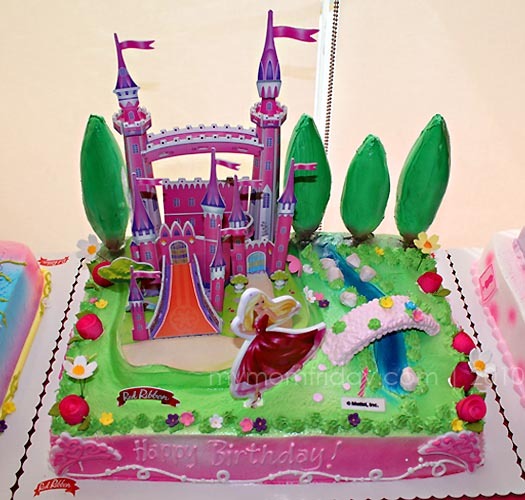 Choose from many Cakes by Design from Red Ribbon – click here..
Cake photos for Barbie Fairy, Barbie Fashion, Barbie Mermaid, and Picture Cake courtesy of Red Ribbon Bakeshop & Protege Agency. If you enjoyed this post, feel free to share it! Stay connected and Follow me on Google friends, Facebook and Twitter @mymomfriday, or Subscribe here via email and get the latest updates!